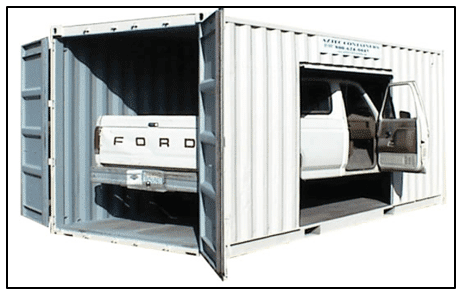 The function of a shipping container seems self-explanatory. 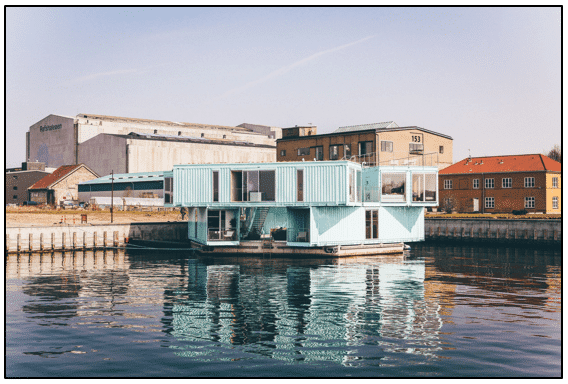 However, these days we’re seeing an increasing number of creative and practical uses for shipping containers that don’t have anything to do with a long trip across the ocean. From shipping container homes and portable offices, here are a few of the most innovative modern uses for a shipping container. For homeowners wanting to make the most of their square footage, prefab housing options make a solid case versus the traditional house hunt. Although hardly a new trend, the construction of shipping container homes has been popping up all across the U.S., with some of the more well-known homes appearing in Texas, Rhode Island, and New York. The typical layout tends to be a house that’s several stories high made from multiple shipping containers, stacked and arranged on top of each other like LEGO bricks. While it is a striking (and cost-effective) look that appeals to many of today’s homeowners, shipping container homes can be practical too, as they can easily be modified with electricity, plumbing, and all the amenities of a modern standard house. Pop-up events can be great for businesses wanting to build excitement for their brand without incurring the costs of running a typical brick and mortar store. A shipping container can make a great temporary storefront for pop-up events like giveaways, raffles, or demos for a new line of products. It takes a fraction of the time to set up a store made from a shipping container than it does a typical temporary building. 10-foot shipping containers are an excellent option for tight, urban locations, while 20-foot containers offer more flexibility and elbow room for exclusive attendees. Offices are among the most popular uses for shipping containers. Due to the uniform shape of most shipping containers (with Aztec Containers, you have 10-foot, 20-foot, and 40-foot shipping containers to choose from), it’s easy to determine how much space is needed for insulation and other office necessities. 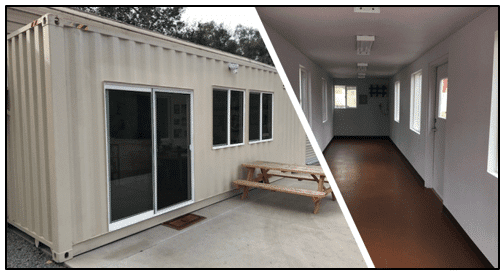 The best part is that shipping containers are highly modular — more can be added according to your needs, making it easy to increase your office space as your staff grows. The standard two- and three-car garages of most homes can get quite cluttered with the addition of dirt bikes, quads, jet skis, or other recreational vehicles. Shipping containers make excellent garage storage, adding additional security and safety for these investments (usually at a fraction of the cost). Erecting a stationary ticket booth or guard shack from scratch may not be practical for the seasonal needs of a summer fair. If quick, easy set up and tear-down is your goal, a 10-foot shipping container could be just what you need. Place it at the entrance of your parking lot (or whatever area you need to guard), and enjoy the convenience of a small, sturdy space for your guard staff to utilize and do their jobs. Quaint cafes are all the rage among local populations. But one challenge that cafe owners must face is keeping their establishment easily maintained (or better yet, profitable). Running a food-service business from the inside of a shipping container can simplify the daily upkeep of your building. For example, your shipping container can be built with a roll-up garage to make opening and closing the business a snap. 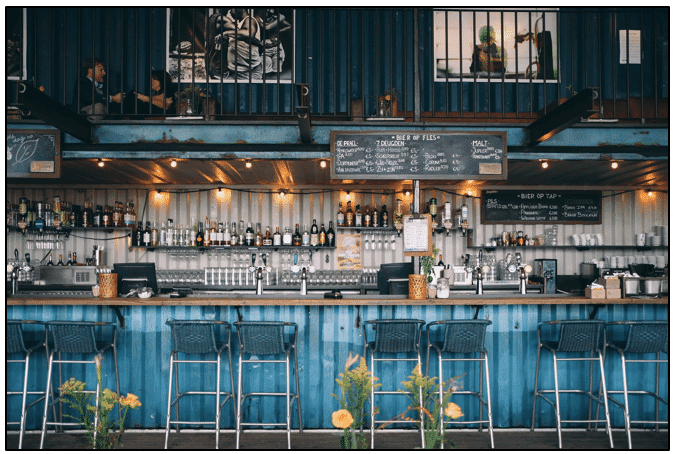 Yet even without any extra features, having a shipping container as a cafe can create a talking point among established and would-be customers — an essential element to a flourishing small business! These are just a few innovative uses for shipping containers. What kinds have you seen? 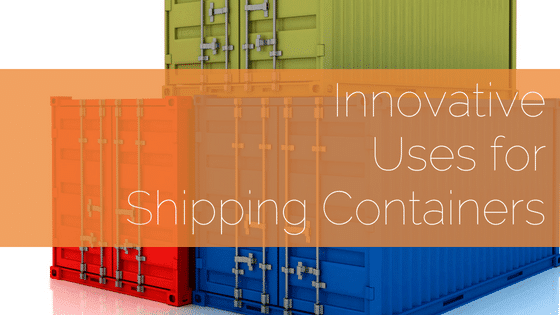 We’d love for you to share other unique uses for shipping containers with us! Contact us today get a quote on your shipping container project. Tip: Be sure to research the building regulations of your area before trying any of these shipping container ideas!